On January 30th, I had the distinct honor of introducing our Alachua County Council of PTAs to our state legislative delegation – Senator Keith Perry, Representative Chuck Clemons, Representative Elizabeth Porter, and Representative Clovis Watson. It is an opportunity to address the delegation before they head off to this session. I introduced our organization and spoke about one area of advocacy our ACCPTA has started – school facilities. Our advocacy committee is building the case for additional capital outlay funding. I addressed the delegation about their authority to increase our local school board’s capital outlay taxing levy to 2.0 mils, which was the cap until 2009. We will be working with our ACPS facilities and finance departments alongside our School Board to lay out possible solutions to our Alachua County community. I will be traveling with the Florida PTA to Tallahassee for our Legislative Conference on March 27 & 28. I will be working with the Florida PTA on advocating for the Florida PTA legislative priorities. My hope is this is the beginning of a different relationship with our elected officials and our Alachua County schools. There are many voices in these public meetings. In the past, I have felt the parent voice was missing. Not today! Every Child, One Voice! My name is Khanh-Lien Banko. I am the president of the Alachua County Council of PTAs – and the mother of 4 public school children from Kindergarten to High School. I am here to ask you to restore the cap for local school boards to fund public school capital outlay from the current 1.5 to the historic 2.0 mils. It would make a great difference. 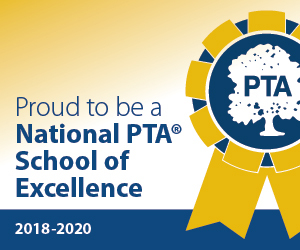 The ACCPTA is part of the state and national PTA, and the county voice for our local PTA units. We set our goals and priorities based on our school visits. We found 2 areas of consistent concern across our county that need immediate attention. One of these areas is neighborhood school buildings, which are public assets and house the classrooms that are educating over 26,000 Alachua County children. Our school facilities have been hit by policy and funding cuts over the last 10 years. With our current funding levels, we have created a maintenance backlog that hampers educating the children we love. Our Alachua County neighborhood school facilities are on average over 34 years old. Band-aids are being used. Roofs are patched and HVACs are repaired, but not replaced. In fact, neighborhood school administration, staff, and PTAs are assisting in painting and re-grouting bathrooms, painting parking lots, funding computer labs, aiding in renovating media centers, paving tracks, and replacing playgrounds. Like buying a house, how we value our neighborhood schools can be witnessed in the condition of our bathrooms and kitchens. Have you been in the children’s bathrooms at any of our public schools? Have you witnessed the overcrowding at many of our elementary schools that has our children eating lunch at 9:30 in the morning? We are at the point that cleaning products and re-locatables (portables) have done all they can do, and a renovation or capital improvement is needed. PTAs cannot raise enough money at school fairs, bake sales, and other school based fundraisers to fix these problems. Nor should they. Since proactive maintenance is restricted and replacement only happens AFTER the need is at the stress point of failure, our public assets, our neighborhood schools, are struggling to keep up with current state standards. For example, every high school student is required to earn a science lab credit in order to graduate. Most of our high school and middle school science labs are over 20+ years old and lack basic workable water faucets and sinks. Our Eastside High School PTSA brought pictures of the deplorable conditions of their science labs to a school board meeting in November. We learned that the Buchholz High School’s labs were no better. We have to stop trying to make do – instead we are advocate publically for all our Alachua County Public School facility needs. We need your help! In short, we need more funding. But I don’t want you to take my word for it. The ACCPTA invites you to a one-half day tour. Let our parents and students take you on a tour and show you some of the needs of our schools. See for yourself the excellent facilities at some locations (and the possibilities with funding) and the needs at others. See how hard a job our maintenance personnel do to preserve a safe environment, and how that challenge increases every year. An official invitation will be forthcoming in the next couple of weeks. Please RSVP yes, and come see how we can work together to help the incredible professionals in our public school system help all our children realize their potential. We ask you to support the restoration of the 2 mills for Capital Outlay so we can not only be fair to all children, we can help make our schools, including our science labs, an exciting place to be.